Early identification and treatment for neuromuscular disorders are essential to optimize health outcomes. Newborn screening, which identifies health issues via a blood test taken soon after birth, is essential to ensure that infants born with serious but treatable disorders have the best possible chance at receiving the care and support services they need as early as possible. For this reason, MDA is a strong advocate for the inclusion of neuromuscular diseases on the national Recommended Uniform Screening Panel (RUSP). The recommendations of the RUSP guide state newborn screening programs in their decisions to screen infants for certain conditions at birth. Two neuromuscular diseases — spinal muscular atrophy (SMA) and Pompe disease (acid maltase deficiency) — are currently on the RUSP. MDA advocated for the addition of these conditions to the RUSP, and we now continue our commitment to early screening by encouraging the inclusion of more neuromuscular conditions, including Duchenne and Becker muscular dystrophy, to the RUSP. Now, MDA is excited to partner with researchers at the Mayo Clinic Biochemical Genetics Laboratory to help them complete a study on newborn screening for Duchenne and Becker muscular dystrophy. 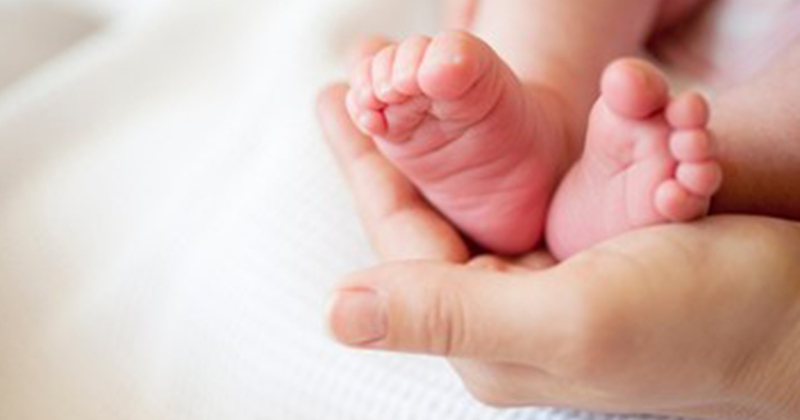 The goals of this study are to test whether existing biomarkers included in current newborn screening testing can detect Duchenne muscular dystrophy (DMD) and Becker muscular dystrophy (BMD) shortly after birth and to establish and/or refine disease ranges. In order to finish this study, the researchers need access to the samples taken at birth from DMD- and BMD-positive babies and carriers. MDA is asking our community in California to help the researchers complete this study. If you or a family member who lives in California would like to help with this study, please read on below for more information on how to participate. Mayo Clinic Biochemical Genetics Laboratory is conducting a study on newborn screening for Duchenne and Becker muscular dystrophy. Eligible individuals include both males and females of all ages who have a diagnosis of or are carriers for Duchenne or Becker muscular dystrophy. For this study, we ask individuals or parents of children with DMD or BMD, including carriers, to consent to the release of their child’s newborn screen blood spot from their respective state public health laboratory. No new specimen collection is required; we are asking only for a spot that was already collected days after birth. Participation involves discussion by phone or email and consent. If interested, please contact our laboratory genetic counselors by phone at 507-266-4996, or email biochemicalgenetics@mayo.edu. To stay up-to-date on MDA’s work to advance newborn screening, join our advocacy network here.